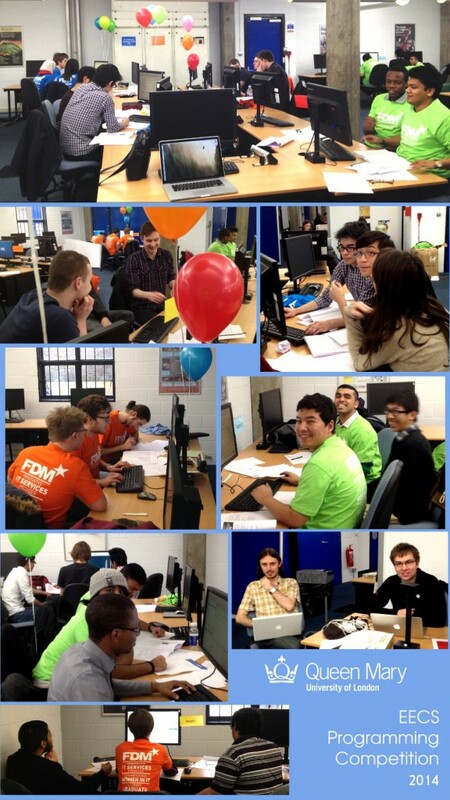 Home / 2014 / February / 19 / EECS Programming Competition 2014: winners announced! We had 42 students registered in 14 teams. The teams were given six problems ranging in difficulty, with the top three teams solving four problems. First place went to a team of 1st year students! Well done to the winners and all the students who took part! And well done to Paulo and his team for making this happen!